M. Gana was established by Mr. Moshe Gana in 1987 and was operating as a repair machines workshop. Through the years the company developed and started to manufacture wrapping machines and today M. Gana is managed by the second generation and is the leading producer of food packaging machines to the local market. 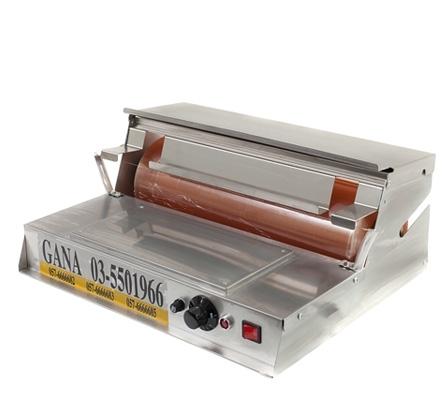 Recently Gana have started to sell the wrapping machines worldwide. Furthermore, Gana is the sole distributor of TOWA Japan and sells their cash register machines to the local market. Gana's goal is to continuously improve the quality by using only high quality raw material. Furthermore, Gana is constantly studying the markets' needs and modifies the wrapping machines to suit the customers' needs and requirements. Today Gana is producing 3 wrapping machines: W500, W500N and S500. Both models are produced with stainless steel. In both machines stretch films may be used in various widths to suit the product to be wrapped such as meat products, vegetables, etc. These simple to use hand wrap machines consists of 2 support rollers for the stretch film to be used and a stainless steel support bridge which allows the film to pass under the product to be wrapped. The electric console features a constantly heated, low voltage cutting wire to cut the film before sealing the bottom of the tray on the stainless steel hot plate. The wrapping machines are used to preserve the food freshness and appearance as well.